OPNT, a systems provider for highly accurate and GPS-independent time distribution through fiber-optic telecommunication networks, is honored to announce today that Dr. Niel Ransom, former CTO of Alcatel, has joined OPNT’s Board of Directors as an Independent Director. OPNT stands for Optical Positioning, Navigation and Timing. The company is developing an alternative technology for network time synchronization for fiber optic networks that will be faster and more reliable than the currently widely-used global satellite positioning (GPS) systems. Network time synchronization is crucial for network optimization and accurate positioning. OPNT has already conducted successful tests of its innovative timing technology to achieve sub-nanosecond synchronization within simulated network architectures provided by KPN and others. “I am pleased to join Cottonwood as an independent director related to their investment in OPNT. OPNT is developing promising technology to ensure accurate, ultraprecise time synchronization in fiber and next-gen mobile networks. This is exciting technology with broad application to telcom service providers for envisioned 5G services, autonomous driving, location based services as well as advanced services to the financial industry,” said Dr. Ransom, former CTO of Alcatel. Dr. Ransom has a distinguished career, not only serving as the CTO of Alcatel but also as an active member of the telecom industry innovation ecosystem, serving on the boards of a number of venture backed emerging technology companies, many having very successful exits. Examples include Cyan (acquired by Ciena), Polatis (acquired by Huber+Suhner), Capella Photonics (acquired by Alcatel-Lucent), DesignArt Networks (acquired by Qualcomm), CoreOptics (acquired by Cisco), Teknovus (acquired by Broadcom), Ellacoya Networks (acquired by Arbor Networks), to name just a few. “We couldn’t be more honored to have Niel agree to join our Board. He has shown a unique ability to recognize new technologies that can dramatically impact the industry. Receiving his endorsement puts us in good company.” said Marco Gorter, CEO of OPNT. OPNT is the first worldwide provider of short and long haul timing solutions based on White Rabbit Ethernet, whose development was initiated by CERN and which greatly improves on the accuracy of the existing IEEE 1588v2 and Synchronous Ethernet standards. OPNT’s implementation is highly flexible, allowing retrofit solutions in existing networks with no need for replacement of legacy equipment or sacrificing valuable telecom capacity. With OPNT, network owners now have the unique opportunity to distribute and control GPS-quality timing everywhere in their own infrastructure, doing away with the inevitable third-party dependence of GPS receivers, as well as their risk of jamming and high operational expenditure. 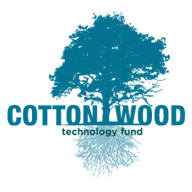 Cottonwood Technology Funds is a seed and early-stage technology commercialization fund with offices in Santa Fe, New Mexico; and Enschede, The Netherlands. It invests in technology-related businesses (particularly telecom, chemistry/material sciences, photonics, biosciences, robotics and new energy) originating throughout the Southwest region of the US and in Northern Europe. These regions include numerous national laboratories, over a dozen major research universities and several major research medical centers. Other current investments include Skorpios, Clear Flight Solutions, xF Technologies (formerly Incitor), Eurekite, Respira, Trilumina, Bayotech and Sarcos. Visitwww.cottonwoodtechnologyfund.com. For more information, please contact Marco Gorter at m.gorter@opnt.nl or Ray Quintana, General Partner, ray@cottonwoodtechnologyfund.com.